Whilst Mario & Sonic at the London 2012 Olympic Games may have already launched on Wii, the Nintendo 3DS version is gearing up to release next month. To mark such fact, SEGA have revealed a new trailer that demonstrates the ways in which the Nintendo 3DS is utilised to introduce new ways to play across the game’s 55 events. You’ll have to blow, point & shoot, shout, tilt and flick to earn those elusive Gold medals! 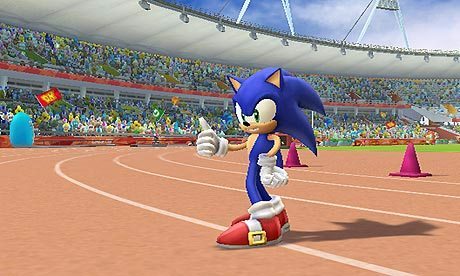 Mario & Sonic at the London 2012 Olympic Games will release for Nintendo 3DS on February 10th across Europe, and February 14th in North America.